Pipeline consciousness has become increasingly widespread on social media, but it’s time to address another environmentally relevant topic that rarely appears on Facebook feeds: The Amazon rainforest. This beautiful landscape stretches across 5.5 million square kilometres, contains 20 percent of the world’s flowing freshwater, a third of all known terrestrial plants, animal and insect species, and 10% of all biomass on Earth. It’s clear that the Amazon is the world’s most important ecosystem and has the potential to prolong environmental catastrophes in the future. Moreover, the rainforest is home to more than 30 million people, 1.6 million of them are indigenous belonging to 400 different indigenous groups. These numbers only show how high the stakes are if the general public fails to grasp the Amazon’s immense importance for saving our future. While political memes have captured popular attention in the media, real catastrophes in the Amazon have been taking place right under our noses. In Peru, seven devastating oil spills occurred in the Peruvian Amazon in 2016, spilling thousands of barrels of oil into Amazonian rivers. A most recent oil spill was detected on November 13th on the Teles Pires River in a remote part of the Brazilian Amazon under the construction of the São Manoel hydropower dam. 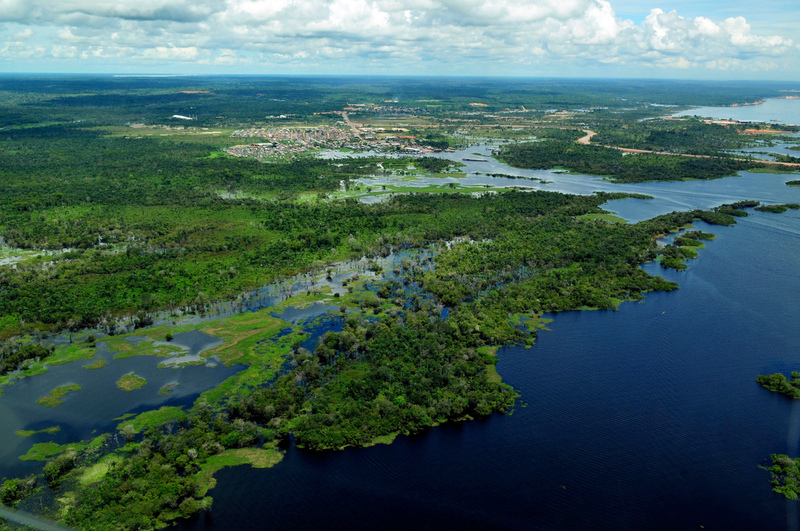 The São Manoel dam is one of more than 40 dams the Brazilian government has planned for the Tapajós Basin as part of a massive industrial waterway project that would transport soy from Mato Grasso state to the Atlantic Ocean. Roughly 320 indigenous people were affected in villages near the calamity by the dam sight. Indigenous leader Taravi Kaybi described the spill’s impact on his community: “All this is a terrible sadness for our people. This region is sacred to us. Now along with the land being flooded [due to the dam], they’ve dirtied our water. The fish have disappeared, too. People are getting sick with diarrhea. Everyone is worried about their health.” Indigenous peoples’ homes are being molested by dam building industries that have no respect for indigenous peoples’ livelihoods, never mind the earth’s greater well-being. 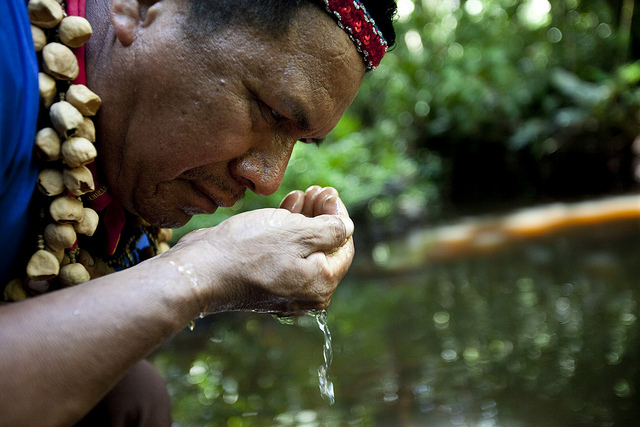 Indigenous people rely on the river for water and fish, their main source of protein, and it is the responsibility of dam building companies to avoid serious damage to the Amazon and its communities. Besides the disastrous oil spills due to industrial projects remains the issue of deforestation. 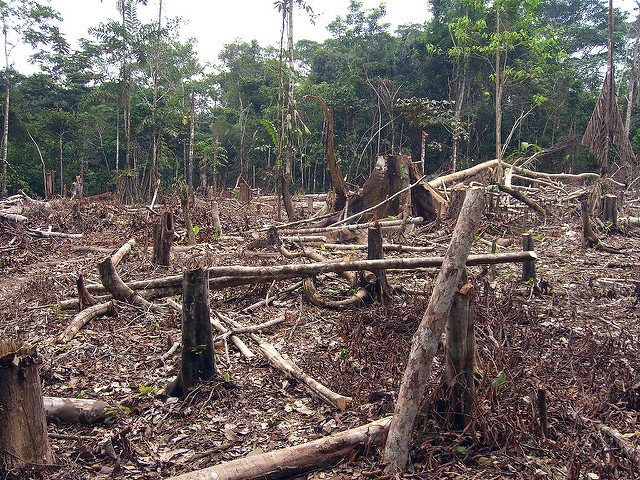 Deforestation is a product of subsistence farmers cutting down trees to produce crops, industrial activities and large-scale agriculture, and more recently cattle-ranching. Vast areas of the rainforest have been downed for dams, dug up for minerals, and opened for illegal logging and land speculators. Luckily, beginning in 2004 Brazil has managed to reverse deforestation trends shown by a declining annual forest loss of roughly eighty percent. This important progress has been a result of increased law enforcement, satellite monitoring, pressure from environmentalists, private and public sector initiatives, and new protected areas. On the other hand, other Amazon countries have not followed Brazil’s steps, but rather have increased deforestation since 2000. 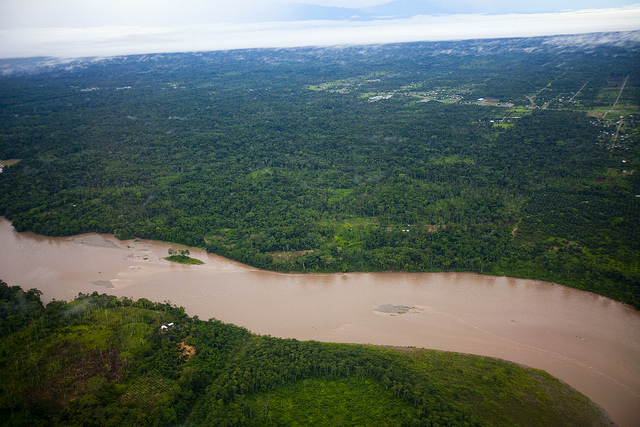 Peru in particular has experienced growing trends in forest loss in the past decade due to the Transoceanic highway completion, gold mining, increased logging and hydrocarbon development. So why should people geographically far away from the Amazon care about its imminent destruction? The Amazon holds the key to possibly altering the course of climate change that will inevitably haunt future generations. The Amazon rainforest is so vast in size that its role in reducing pollutant levels can significantly impact the effects of global warming. To spare you the scientific breakdown, in essence trees from the Amazon remove harmful carbon dioxide (CO2) from the air, which is emitted from a variety of natural and human activities. Burning forests, industrial pollution, and cattle metabolic releases are only a few examples of activities that emit harmful CO2 into our atmosphere. With the Amazon rainforest gone, CO2 is no longer transformed into photosynthesis, and the luxury of breathing clean air is reduced significantly. If that argument doesn’t convince you, here’s another. It appears the Amazon rainforest contains numerous varieties of natural medicines in insects, plants, and other organisms in the region that could cure serious diseases. Indigenous peoples have perfected the use of certain chemical compounds in plants and animals, but since plant and animal species are being destroyed, all of that knowledge would be wasted. Scientists believe that 1% of flowering plant species have been studied in detail for their medicinal potential. It would be a shame if the need for another dam destroyed the chances of curing malicious diseases, like for example, cancer. Protecting the Amazon begins with raising awareness that the rainforest holds many important keys to the well being of our future. Moreover, acknowledging indigenous rights to land in the Amazon is an effective way to protect land from becoming destroyed by industrial activity. Strong activism and dialogue from external parties holds heavy weight in preventing future collateral damage to the Amazon. As young people who are interested in the world and its condition in the coming years, let us acknowledge and recognize that the Amazon is a region we need to keep safe.